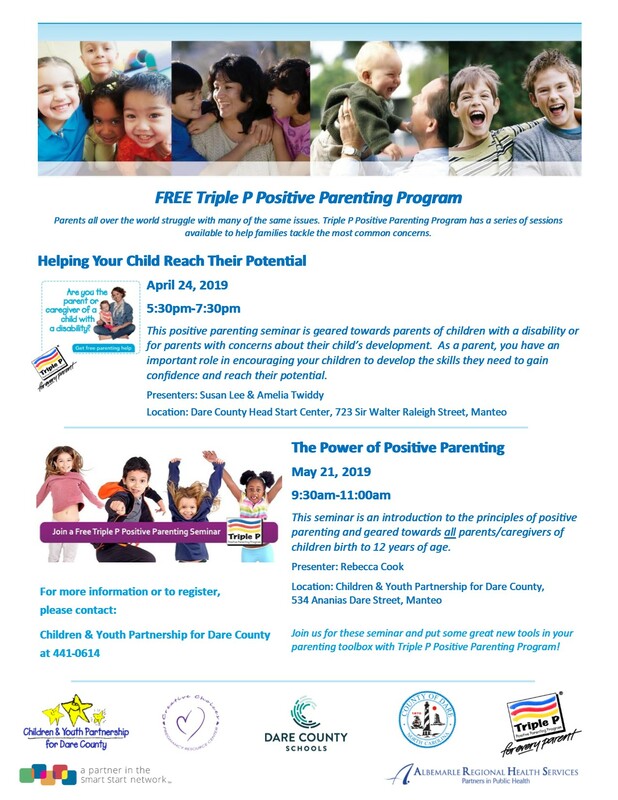 Triple P, the Positive Parenting Program, is now available to Dare County families! Children & Youth Partnership for Dare County has received a System of Care grant from Trillium Health Resources and funding from the Dare County Health & Human Services to expand the Triple P - Positive Parenting Program in Dare County. Triple P is an evidence-based program that gives parents the skills they need to manage misbehavior and prevent problems from happening in the first place. From toddler tantrums to a teenager’s defiance, from bedtime dramas to outright disobedience, Triple P helps you sort through the issues that affect families everywhere—giving your child the best start to life. Triple P is distinctive in that it is not a "one-size-fits-all" course. Rather, it is a system that offers increasing levels of support to meet parents' different needs. Parents can choose anything from individual counseling sessions to more intensive group courses. Triple P is now also available online, adding further flexibility and convenience for parents. Upcoming Triple P Group and Seminar Sessions - FREE - For parents and caregivers of children birth to 12 years of age. If interested, please click here for current details. 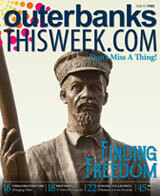 Interested in more information, contact Sara Sampson at (252)441-0614. Triple P is available online for FREE to parents in NC, on your schedule…at your pace…where you choose! To register for this online course, visit Triple P and complete the registration information requested.